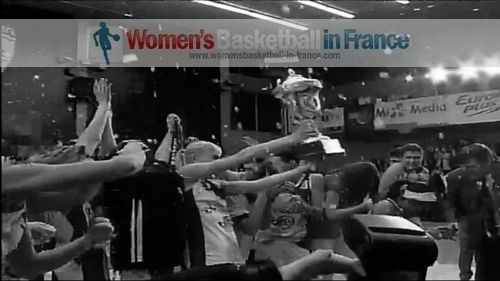 Since FIBA Europe changed the final format of the EuroCup Women in 2006, only Galatasaray in 2009 had won the final after losing the first game. Dynamo Kursk made up the 14-point deficit from game one to win the two-game series (130-121) and also become the third Russian club side to lift the EuroCup Women trophy. Dynamo Kursk had home court advantage for the final match of the competition, and they took full advantage of it straight from the tip-off, with a three-pointer by Lithuanian international Ausra Bimbaite. Dynamo Kursk were not to lose the lead of the game the rest of the way. Michelle Snow and Bimbaite with 10 and 7 points each during the first quarter were the driving forces as the hosts dominated the first quarter (24-13). The hosts continued their chase after the aggregate score and with three minutes played in the second quarter Bimbaite levelled the aggregate score with her second three-pointer of the game (29-15). Things went from bad to worse for Kayseri Kaskispor when Pinar Demirok went down after 30 seconds on the court. 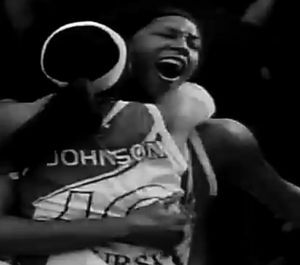 She was carried off the court and never returned. This was quickly followed with back to back baskets by Snow, which increased the hosts' advantage (33-15). However Kayseri Kaskispor was kept in the series by Latoya Sanders who scored 10 points in the last five minutes of the quarter. All the same Dynamo Kursk went into the locker room leading the game (38-25) but trailing the series by a single point. After the break Dynamo stepped up and quickly regained the overall lead with other players contributing offensively: Natalia Vodopyanova, Anna Petrakova and Gunta Basko-Melnbarde were amongst the scorers. Kayseri Kaskispor continued to miss shot after shot but still had a chance of winning the trophy despite trailing (56-39) going into the final quarter. With five minutes to play, Agne Abromaite was called for a foul on Snow. Immediately afterwards Ayhan Avci, the coach from Kayseri Kaskispor, picked up a technical foul. Snow took full advantage of the situation hitting 3-from-4 free throws given to give her side a 7-point aggregate advantage while leading the game (62-41). The Russians controlled the pace of the game better during the last five minutes to win the match comfortable (75-52) and Snow the star of the game with 30 points and 11 rebounds. Dynamo Kursk are the first club to finish as number one seeds to win the competition since the bracket system was introduced. 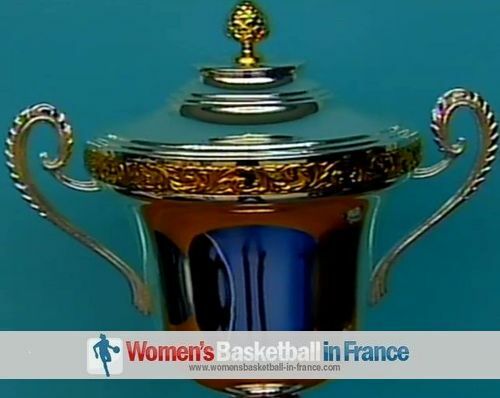 Fiba Europe are likely to offer Dynamo Kursk a wild card for the 2013 EuroLeague Women. If this happens and Dynamo accept, then a bigger Russian club will be absent from the EuroLeague Women next year.